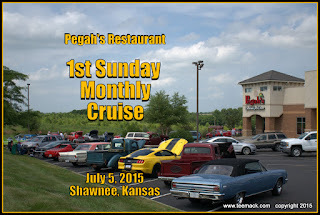 Pegah's Restaurant in western Shawnee, Kansas held it's monthly Sunday Cruise on July 5, 2015. 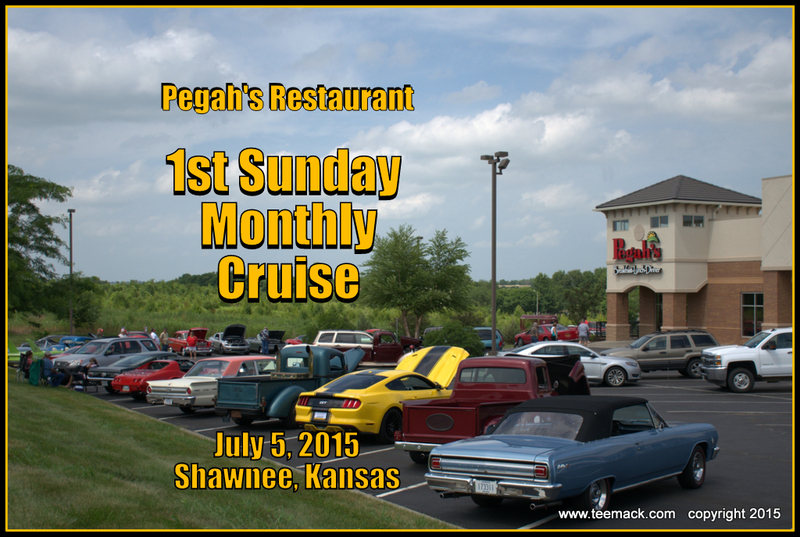 Approximately 60 vehicles attended the monthly cruise during the afternoon and evening. Besides the great food, there was a small band playing in the background for entertainment. Click here to view photos of the cruise.